There are many kind of animals in Russia. Each of them have their uniquess which amazing to see. Same like the other country, Russia offer various kind of animal – even exclusive can only seen in this country. But as the technology raising and cause of the human business, slow but sure they start to mess up with nature. Clean up the forest, hunting exotics animal, even the global warming some of them were endangered and will face extinction if Russian didn’t do anything. We will share 7 most endangered species of animals in Russia. Most of them are the top predator in their food chain. Who are they? Lets check this out. The number one of the endangered species which will extinct if the government, or Russian society didn’t do anything to save this species. It was believed that only less than 60 are estimated to exist in Russia. 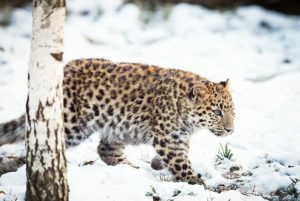 The Amur Leopard , which well-known as Manchurian Leopard is have the critically endangered status and largely can be found in large swathes of northeast Asia, but because of the hunt, we believe this species only be found in native place at the Primorye Region in southeastern Russia. What makes this leopard so famous because they have thick coat of fur with beautiful black spots. They have various colour of their coat from pale to deep yellow with the golden tinge. If we compare to another leopard, Amur Leopard is smaller than anyone. Because they live in snow terrain, they already adapt with the envoriment with long limbs. What makes this leopard close to extinction are poaching, forest fires, illness, and by human who encroachment into their habitat. Polar Bear is the iconic species in Russia. It is the world’s largest land predator . Weighing about 800 kilograms, not difficult for them to achieve the title of “ largest land predator”. This animals really famous because of the animation film called “ Masha and the Bear”, a funny animation film starred a girl and the Bear who lived together. 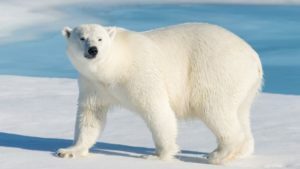 The estimated polar bear who still exist are 3,000 polar bear living in Chukchi Sea which make them endangered. However, it would not a exact number since Russian authorities did not allow scientist to estimate population of Polar Bear in Russia. So what make this exotic species decreased day by day? Scientist believed that illegal hunting haunted the Polar Bear since decades ago and we need the authorities to act against the hunter. Finally in 1956, the illegal hunting of Russian Polar Bear has been banned . However, we still saw dead bodies of them and was claimed by self-defense from the locals. To ensure the existence of the species, the government made an agreement with their old foe, the United States. In 2000 the Russia and the united States signed bilateral agreement to save polar bear population in the Chuckhi Sea. Both countries are going to allow only the indigenous people to kill the polar bears with the limited permission by the number of bears to be hunted. The snow leopard is the only permanent inhabitant of the Central Asia highlands. They found in the sub alpine and the alpine zones at altitude over 2,500 meters above sea level. This big cats is adapted with harsh climatic conditions. Optimal habitat conditions for this big cat are the presence of rock and snow cover. 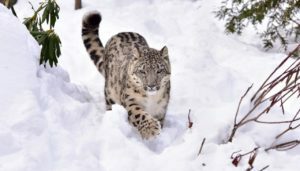 Snow Leopard has natural habitat at the northwestern part in Russia. It has 60,000 square kilometres , the total area that probable can be use for snow leopard to habitate. The snow leopard is one of the most beautiful big cats found in Russia. The female is slightly larger than the male. In captivity, this cat can lives up to 28 years. What you don’t know about snow leopard is the behaviour they have. They are very playful and love to roll in the snow. Sometimes they often slide down a steep hill at the back and at the end they quickly turn over and fall into the snow on all four paws. When they are in good mood, they just like house cat. 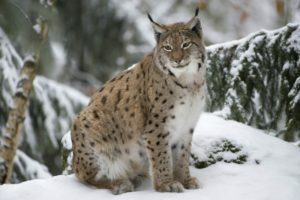 Lynxes is very unique animal. It is one of any of the four species within the medium-sized wild cat in Lynx genus. In Greek, Lynx is known by the Greek Mythology and “lynx” means seeing what others can’t, and have the role to revealing the hidden truth. The name comes from Greek – leukos meaning white or bright, maybe lynxes got the name by the way their eyes shine in the dark . The main reason why this cat named lynxes wasnot by the eyes, but comes from the ears. This animal is well known by the tuft of black hair on the tips of its ears and it short or bobbed tail. All lynxes, both male and female have the tufts, until know we still don’t know what they are used for. Until now scientist believes that the tufts were made for enhacing the cat’s hearing. Did you know, because of the habitat loss due to deforestation , prey loss due to game hunting, and illegal hunting and trapping for the fur trade are the main treat to Lynx. Hard to believe, but the population of this animal is decreasing by the time. For now, conservation status of Eurasian Lynx in Least concern or population stable thanks for the quick response from the authorities. 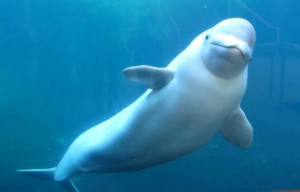 Beluga Whale is one of the endangered species in Russia. They often called the white whale and well-known for their impressive vocal abilities, flexible body , which is possible for them to move their head to all direction. This species not only have a bad condition in Russia, but across the world. The reason this friendly white whale endangered is because Eskimos. These eskimos hunt the whale for food and the needs. For those who don’t know, whale’s blubber ad shark liver were hunt for the lipstick. So if we don’t limit the hunt for this species, it will gone forever. The species has the scientific names – delphinapterus leucas, which have the length about 15 feets for the male and females up to 14 feet. They have lifespan about 30 – 50 years. Reasonable if we see their big body. They have stunning weigh approx. 3,000 lbs for the male, and 2,000 lbs for the females. The protection status for the endangered species act is endangered, while IUCN Red List is near-threatened and have appendix II status for their CITES. So that’s all 5 Most Endangered Species of animals in Russia. Most of them really beautiful, and have a better lifespan if we don’t hunt for the needs or for food. We have to limit the hunting, because if we just do it without any control for the authorities, day by day their population will decreasing and our child will no longer see this animals forever. Since we still have time to protect and do something for them, lets make some change and do the best for their live.